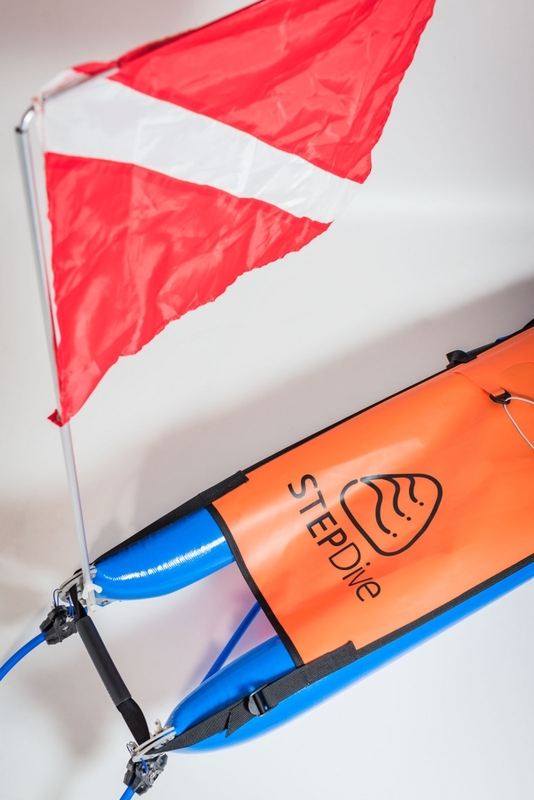 Utilising a catamaran design for optimal stability and hydrodynamic efficiency, the STEPDive raft will glide effortlessly through the water, whether pushed or pulled. 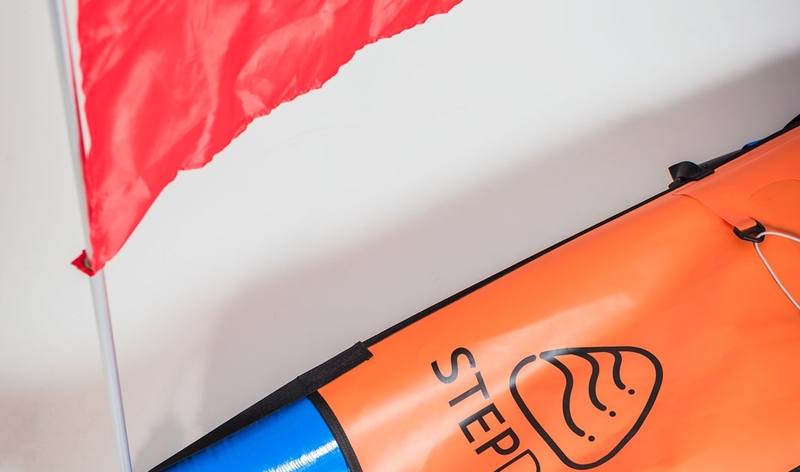 The 4-point mounting system allows a highly visible and durable deck sheet to be attached, providing an ideal platform for securing equipment and offloading weight-belts. 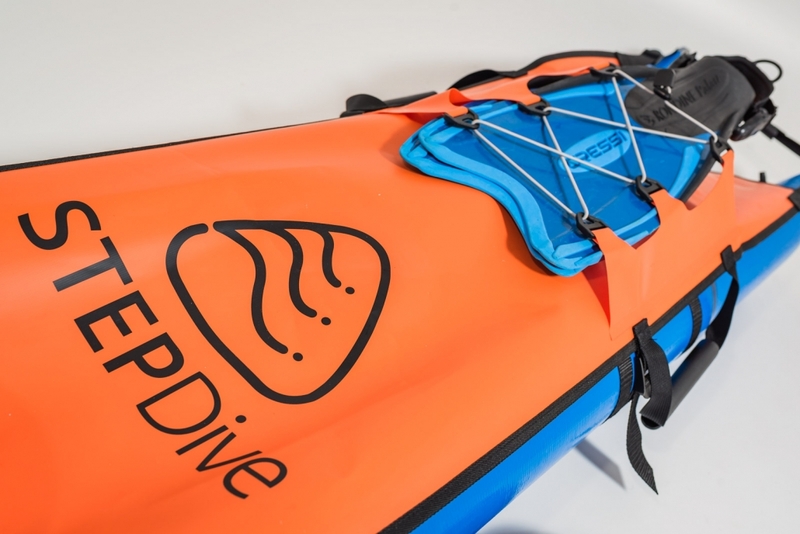 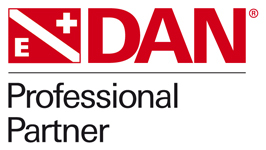 Large enough to support two adult tired divers in an emergency situation, a single person can still comfortably manage and carry the full system single handedly. 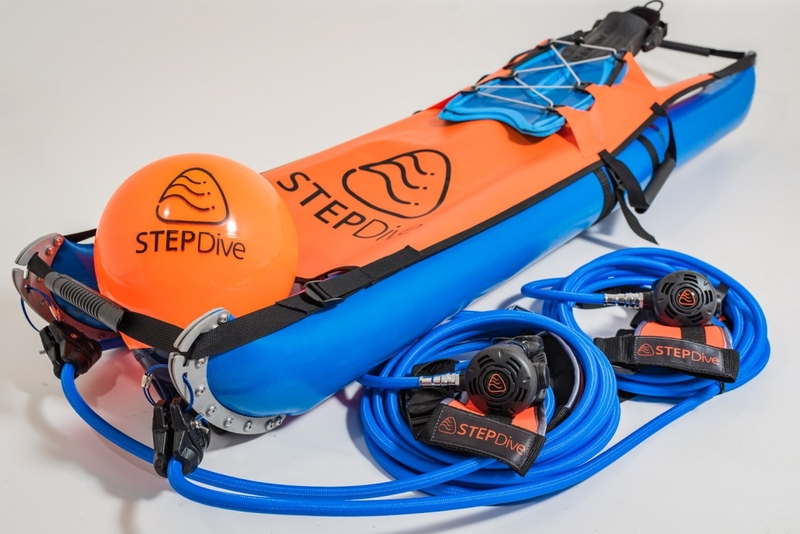 A strain relief attachment (such that the hose never pulls directly on the 1st stage) is also fitted using our Easy Clamp System.